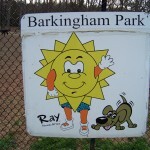 Sunday, Jan. 13, 2012 in Charlotte, North Carolina was an incredibly beautiful day that beckoned us to partake in the freakishly warm 75°F degrees and head out to the Barkingham Dog Park at Reedy Crrek Park in Charlotte, North Carolina. This was our first time to both the park and the dog park and we were impressed. 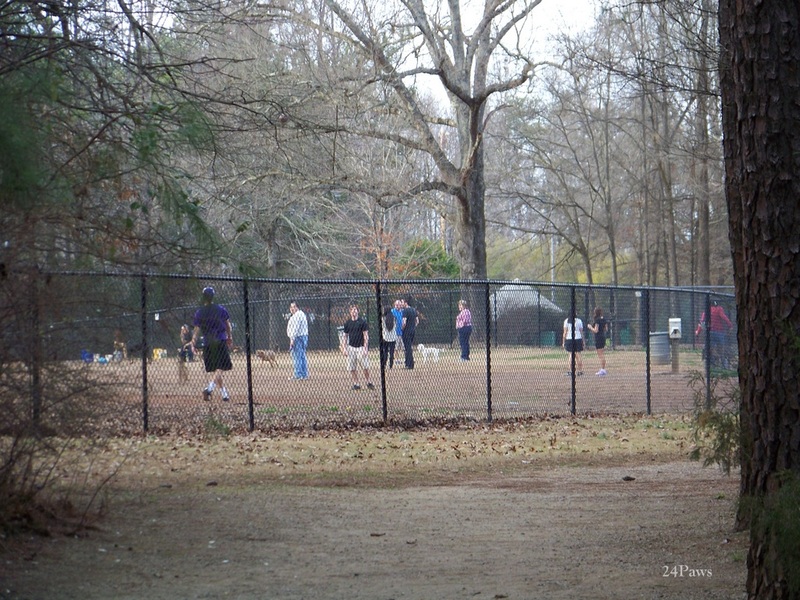 Your dog can really get his run on inside the four acre fenced-in dog park. You read that correctly, four acres of off-leash bliss. There are a number of seating areas inside the fence for us tired humans who might need a recharge. There is a little separate fenced area connected to the big yard that didn’t specify who it was for, but if your dog is small, or maybe needs a time out, this could be utilized as well. On the downside, the odor de feces was strong this day, and while warm, it was a far cry from the summer heat and humidity that will soon be on the menu. Take heed, and wear some old shoes, and prepare to pick up your dog’s poop. We saw a number of irresponsible owners. We know, maybe they were tying their shoe and missed it, but we have an easy solution for this oversight. 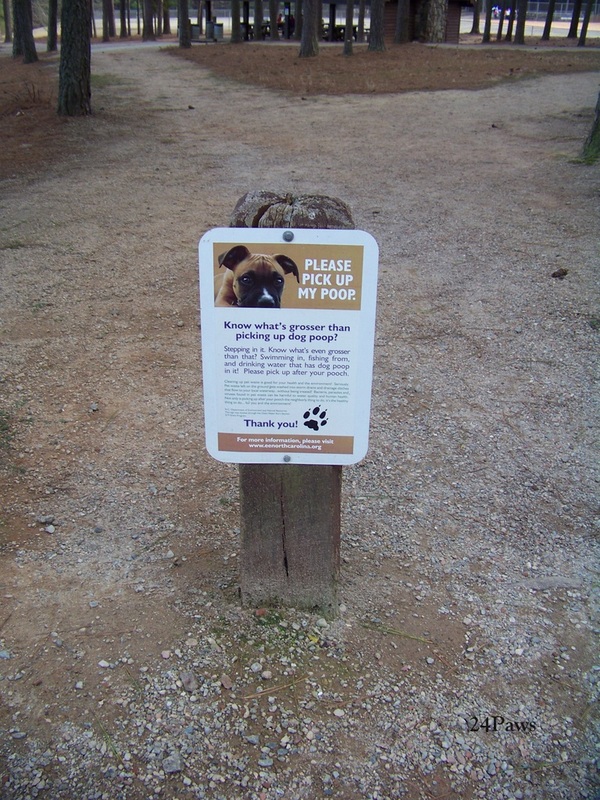 It is a given that your dog will poop in the dog park. A healthy mix of exercise, excitement, and the need to mark territory can make anyone run for the loo, so even if you don’t see your pooch do the deed, be a good sport and pick up a stray pile you see in your path. If everyone did this, the park would be poo-free and everyone could think sweet thoughts about their fellow human. 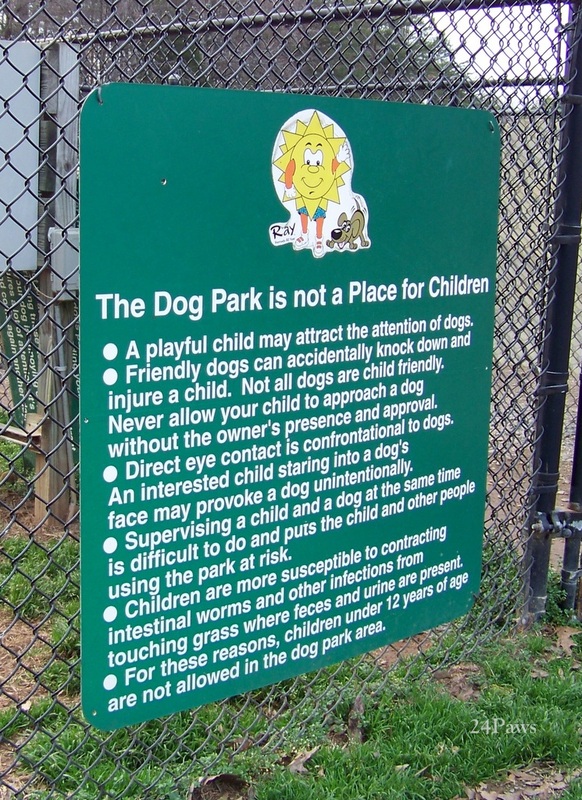 The dog parks are free, so let’s keep them beautiful and fun for all. The Reedy Creek Park alone is a treat for all. 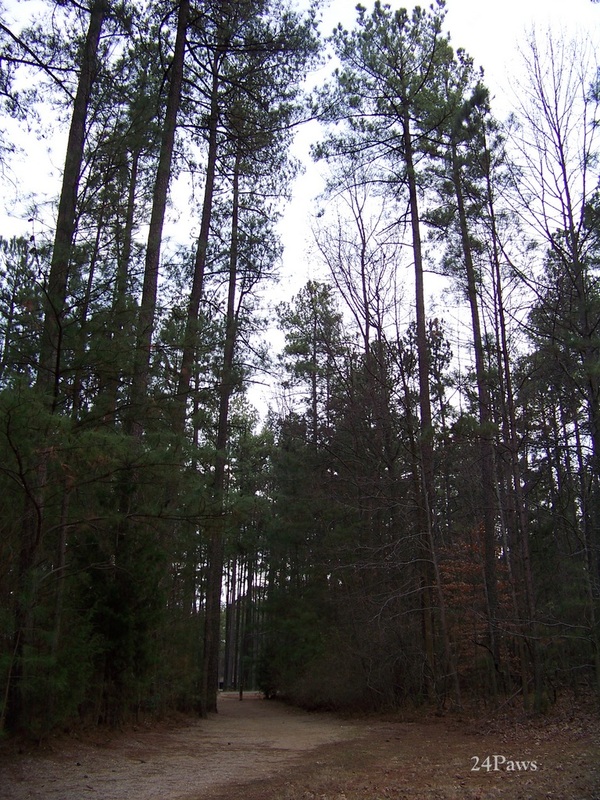 Reedy Creek Park consists of 146 acres adjacent to the 727 acres of surrounding Reedy Creek Nature Preserve. 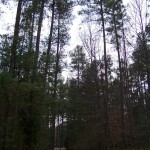 Reedy Creek Park and Nature Preserve has 10 miles of trails. 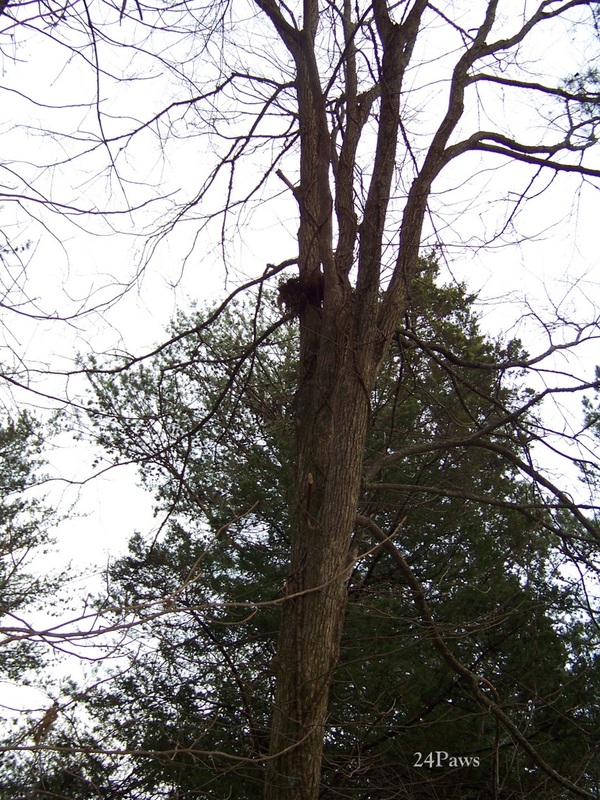 You can take your leashed dog along with you on your hike. Hours: 7:30am until sunset every day! 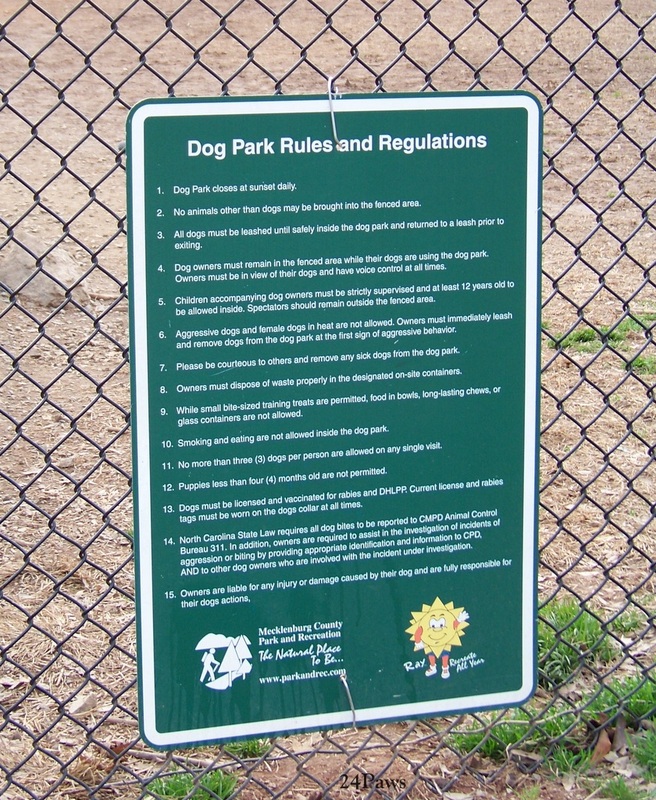 Off-Leash Requirements: Current rabies and DHLPP and Bordetella vaccinations. Dogs must wear current license and rabies tags. There are additional rules, see the photo below. Limitations: No more than three dogs per person, no puppies younger than four months old, no aggressive or sick dogs, and no dogs in heat allowed. No food or smoking allowed. 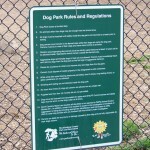 Sorry cats, only dogs are allowed in the fenced dog park. 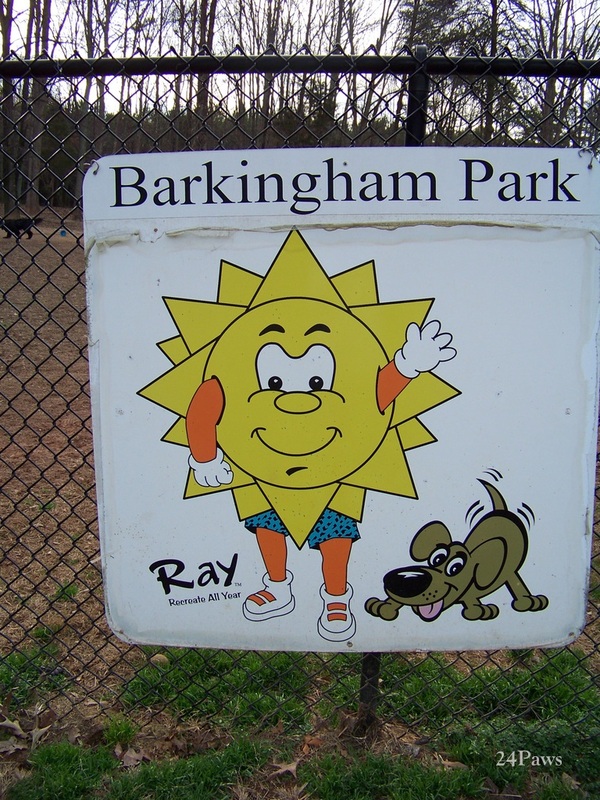 Awesome fact: Mecklenburg county has six dog parks! 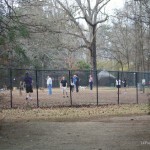 People and dogs at the dog park. 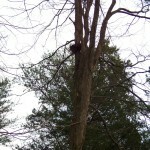 Nature in the city at Reedy Creek Park. 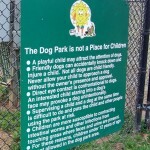 Dog park rules for children. Got an opinion about the dog park? Bark about it below.